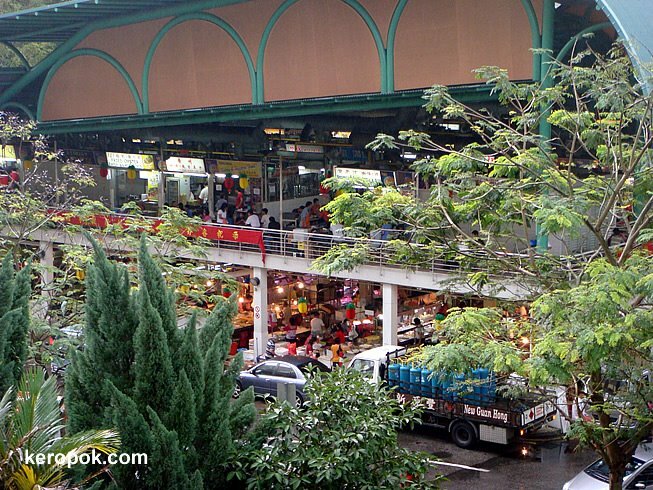 A typical 'Wet Market' market on the bottom floor, and 'Food Centre' on the top floor in Singapore. In the city that you live in, where do you get your meat, vegetables, etc? In Singapore, most housewives get the fresh meat and vegetables from 'wet markets' like this. I love to get my fresh vegies, fish (especially), meat from the wet/nigh market. However....our schedule only allows us to do that on weekends. On weekdays, we succumbed to buying our stuffs from the local supermarket. Alas, they are not as fresh as those fromt the wetmarket or night market. What a beautiful market. Like everywhere in Singapore, it is so fresh and clean. Yes, we buy food in markets here - open markets, closed market and of course supermarkets! It's mainly supermarkets in Tassie, but on weekends their are a few farmer's markets. There is quite a nice fruit and vegetable market near where I work which makes getting lunch easy for me. I still like to go to the butcher though for the best meat! I love this photo, by the way. There is always something interesting to look at on your blog!